Did you know: Doctor Strange claims to speak for the "average American?" How many "average" Americans do you know that have man servants? 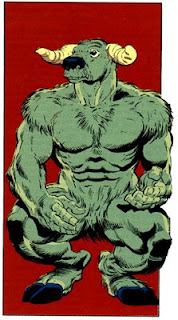 Did you know: Doctor Strange's apprentice is a man-bull. Can America withstand a cabinet stuffed with man-bulls? Did you know: Jesus Christ died for our sins; what have Hoggath, Ikthalon, Agamotto, and Watoomb done for us lately? Did you know: "Doctor" Strange is no longer licensed to practice medicine? 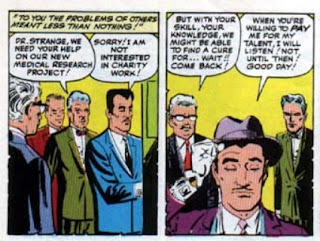 Did you know: when Doctor Strange was a doctor, he wouldn't help poor people; he was only concerned with making money for himself? 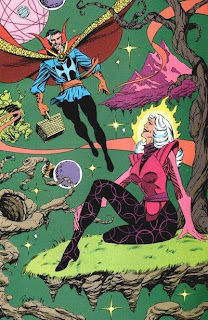 Did you know: Doctor Strange's wife isn't American? She wasn't even born in this dimension. 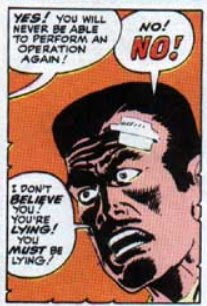 Did you know: While Doctor Strange claims to be against tax increases, he plans to raise "fees" to help fund the arts? And not the fine arts, but the "mystic" arts? 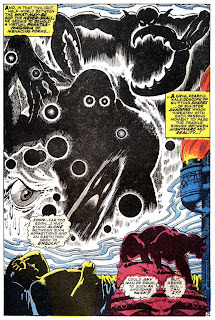 Did you know: Doctor Strange is friends with the Hulk, who repeatedly destroys American cities, the Silver Surfer, who once led the world-devouring Galactus to our planet, and Namor the Sub-Mariner, who has repeatedly declared war on the surface world? Do you know where on the world America is? That's right, the surface. Does America truly want to be part of the "strange" new world promised by this candidate? Can America afford to trust the trippy and surreal vision of this "doctor?" On November 4th, vote for the candidate with a clear and direct vision for the future. Isn't it time America "mutated" into something that was beneficial for all? Paid for by Mutatis Mutandis and People For A Strange-free America. 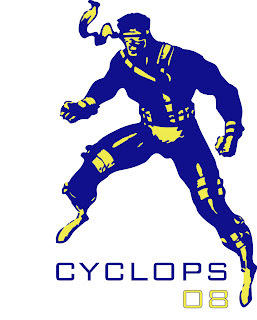 I'm Scott Summers...and I approve this message. Well I'm not sure who I am going to vote for. Is there some third party that is also running? Independents don't usually do so well but in an election this close they might have a chance. The third party will soon be heard from, my friend.